In 1916 Adeline and Augusta Van Buren set out to prove they could ride as well as anyone. 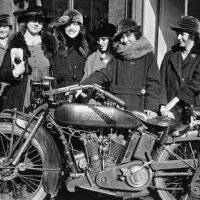 With World War I looming, the Van Buren sisters planned to show that women had what it took to be dispatch riders in the U.S. Army. They set off on their transcontinental journey on a pair of motorcycles. In leather pants, jackets and helmets, the sisters were reportedly arrested along the way for wearing “men’s” clothing. They followed the Lincoln Highway, though much of the then three-year-old road was unpaved and unmapped. 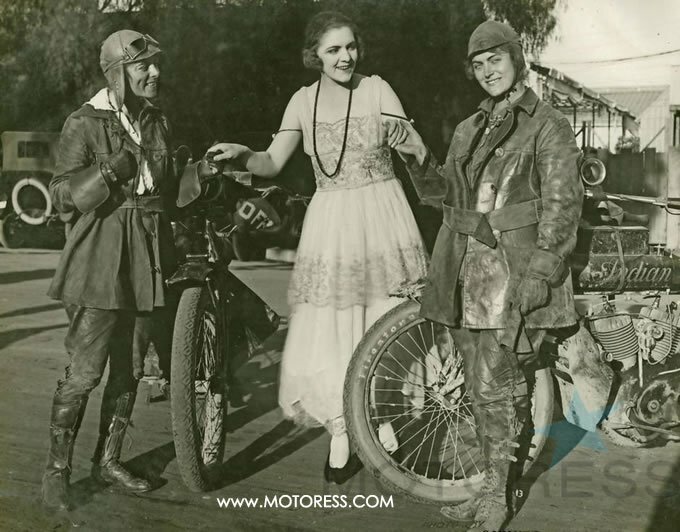 After a two-month trek – during which they were also the first women to ascend Pike’s Peak by motorcycle – Adeline and Augusta arrived in San Francisco. 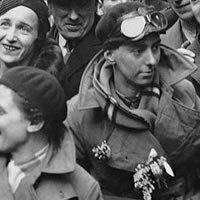 Their accomplishment didn’t persuade the U.S. military to alter its stance on female dispatch riders, but they did etch an example on the chronicles of history for women of conviction and adventuring spirit. The 2016 Van Buren Sister’s Centennial Motorcycle Ride will travel coast-to-coast taking three weeks to complete. It will begin, as the sisters’ trek did a century ago, on July 3. Clickenger, an experienced motorcycle tour organizer, is anticipating up to 100 riders — plus staff and the extended family of the Van Buren sisters. 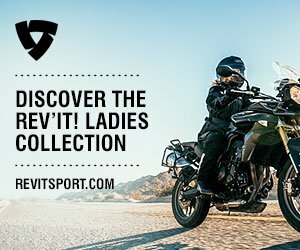 “This ride is intended to honor their achievement and promote the growth of modern-day women motorcyclists and the motorcycling community. 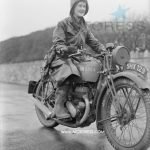 “A cross-country motorcycle ride for women, the event will commemorate the 100th anniversary of Adeline and Augusta Van Buren’s historic ride across the United States from New York to San Francisco – a ride they took together in 1916. “This was a phenomenal accomplishment by two courageous women at a time when few roads were paved, Victorian attitudes were in full flare and women did not yet have the right to vote,” says Clickenger. 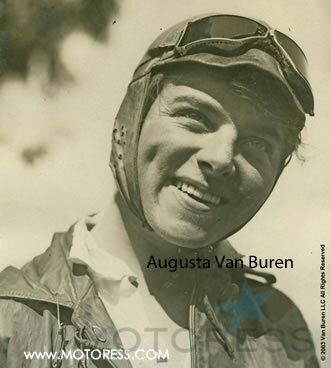 “We have Adeline’s scrapbook and pictures of some of these so-called roads in Iowa; it looks more like a horizontal luge track than a road,” says Dan Ruderman, grandson of Adeline Van Buren. “It’s just steep embankments of mud, and they had to choose if they were going to ride in the middle of it or up on the side. It was not easy going. One of the shortest days was three miles, that was as far as they could get. The extended family of the Van Buren sisters have joined forces with Clickenger to promote the event, which will launch from the east coast with at least 100 women riders, including Adeline’s great-granddaughter, Sofié Ruderman, and Sarah Van Buren, great-great-niece of Adeline and Augusta. The 100-plus riders will follow the Van Burens’ 1916 route as closely as possible, often along the Lincoln Highway. Combining scenic routes, community events, and important stops along the Van Burens’ own journey, the route will allow for great motorcycle riding and promote women as role models by visibly demonstrating their courage and capability as cross-country motorcycle riders. 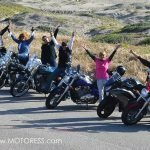 The Van Buren Sister’s Centennial Motorcycle Ride concludes with a large group ride into San Francisco on July 23, 2016, where festivities will celebrate the ride’s completion and all riders’ accomplishments. Women have several options for participation, including a fully supported tour and self-guided tours of the entire route or individual segments. Registration is here Sisters Motorcycle Ride online. View here for photos of the Van Buren Sisters and their history.